There are more affordable hardware synths available to musicians than ever before. You’ve also got the mind-bogglingly huge software synth market, offering unprecedented choice at a fraction of the cost. So what’s the difference between the two, and what place does hardware have in an increasingly digitalized world? Let’s find out. Over the years, technology has changed the way we make music – almost immeasurably. A process that previously would’ve involved an entire team in a world-class facility can now be replicated, with reasonable accuracy, on a laptop in your bedroom. Further to this, sounds that may have previously been beyond your reach are now instantly accessible, in the form of software, at a fraction of the cost of their real-life equivalent. Full orchestras, rich sampled pianos, authentic percussion. But arguably the most common software-replicated instrument group is the synthesizer. Sound – how does the sound compare? Price – what do you get for your money? Practicality – how easy are they to use? Choice – is less more? Let’s start by looking at the real deal, the original – the flesh and blood of electronic music. First popularised in the 1960s, hardware synths have helped to shape just about every musical genre under the sun in some way or another. Nowadays, they come in many different forms; analog, digital, monophonic, polyphonic, modular – the list goes on. First up, the sound. Many will argue that the sound of a hardware synthesizer will always be superior, as with valve vs. solid state amps. The discrepancy in sound is often most apparent with analog synths. The waveforms, by nature, are a different shape, resulting in an objective sound difference. It’s much harder to tell with digital hardware synths vs. softsynths – either way, many people maintain that hardware does sound better – because once you’ve found that perfect sound, it’s pretty hard to imitate. Next up, the value; the price of hardware synths varies massively (more on this later). Having said that, there are way more affordable options on the market these days. Not only that, but hardware synths tend to hold their value. Many old-school units (even as recent as early ‘00s) sell for more than their original value. So if you one day decide to sell your hardware on, you won’t lose much money on it – you might even make a little profit! Finally, there’s the tactile nature of having a solid chunk of engineering in front of you. Buttons, knobs, faders, patch connections. Part of the beauty of making music is the interactive nature of the process – hardware synths embody this perfectly. Never underestimate the value in being able to reach out and interact with your music. There’s also an element of unpredictability – tweak that control, patch one connection to another – who knows what’ll happen? It’s all part of the fun, and it makes a world of difference in this writer’s opinion. As mentioned earlier, the price of a hardware synth can vary massively. You’ve got plenty of great budget options from the likes of Behringer, Korg, Arturia and more. Then you’ve got the middle ground; digital and hybrid workstations from the likes of Roland, Sequential and so on. At the top of the food chain are the titans. 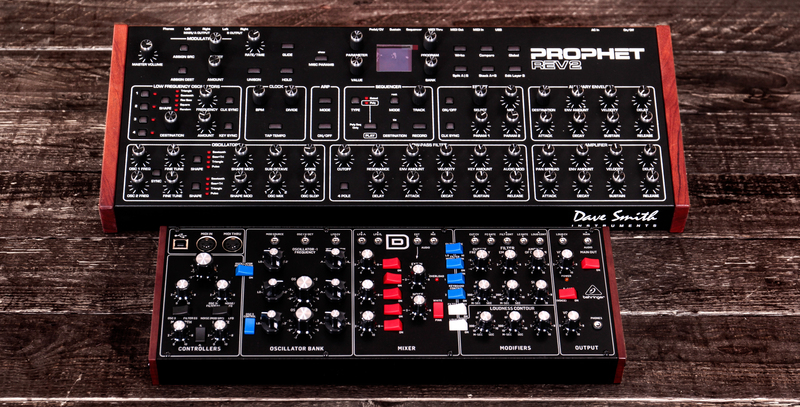 Premium analog or hybrid polysynths that offer enormous choice and jaw-dropping sound (Moog One, Waldorf Quantum, Yamaha Montage). If it’s choice you want, you’ll be aiming higher – premium synths cost anything from £1500 to pushing £8000. Earlier, we mentioned how cool it is having something to reach out and interact with. There’s a flipside; hardware synths take up physical space, certainly more than software (obviously). If you’re working from a compact studio or a home setup, space may be limited. Then there’s the portability; it’s way easier to take a laptop full of hundreds of synth sounds than it is to carry a handful of desktop synths. In the ‘90s, computers started to play an increasingly crucial role in music production – and the softsynth market gradually grew in parallel. Innovations like MIDI and VST (Steinberg’s Virtual Studio Technology) facilitated access to a broader range of sounds and a fluid workflow that proved irresistible for musicians and producers alike. 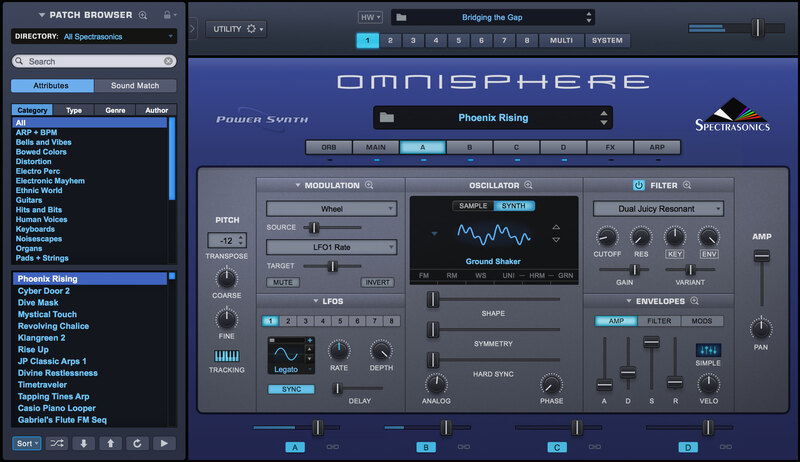 Nowadays, the software synth category is undeniably enormous. It ranges from emulations of classic hardware (Native Instruments’ Monark, Arturia’s Analog Lab) to totally fresh architecture (Omnisphere, Native Instrument’s Reaktor). We’ve already said it a couple of times in this article, but we’re gonna say it again – softsynths offer heaps of choice. Whether it’s sampled emulations of classic hardware or a totally artificial wavetable-style synth, you’ll have tons of presets from the get-go. Then you’ve got your parameters to tweak, most likely including all the stuff you’ll find on hardware; cutoff, resonance, waveform, ADSR. There’s a chance you’ll have even more tweaking options thanks to the smart folks who build this software. Intuitive morph controls, studio-quality effects – the possibilities are borderline never-ending. As mentioned earlier, there’s something kinda handy about having hundreds of slick synth tones neatly concealed in a laptop or computer. They take up way less desk space – scratch that, no space whatsoever. They tend to more flexible too; tweak them and combine them with other sounds, record them instantly thanks to MIDI and integration with your DAW of choice. In these respects, softsynths are undeniably practical. Further to this, there’s the value for money aspect to consider. We used Behringer’s Neutron as an example earlier; compare software of the same value (Rob Papen, Native Instruments, Spectrasonic) and it’s easy to see which option has more choice on offer. A word of warning: the following paragraphs are essentially a mirror image of the hardware pros, hopefully for obvious reasons! Sound – a divisive issue. There’s always an element of elitism (for want of a better word) when it comes to instruments. Sound quality is often subjective, but every now and then, science provides some conclusive evidence. When it comes to analog waveforms vs. their digitally-replicated counterparts, the former is infinitely smoother, producing a similarly fluid sound. Whether or not you can hear the difference depends on your ears. The majority of synth enthusiasts would, if given the opportunity, take a bit of hardware over a softsynth based on sound alone. With software, you don’t get resale value – for obvious reasons. So when you drop some cash on a softsynth or plugin of some kind, that’s it. You’ve spent the money and you have to live with the consequences. Those consequences are usually pretty darn fun, and as we described earlier, you can get a whole lot of use out of them. Finally, it’s all about the interface. Softsynths tend to come feature-packed, with unprecedented control over just about any parameter you can think of. But it’s all on screen. Yes, developers will usually style their plugins to look like actual synth interfaces, but you still need to click/drag/enter a number to tweak your settings. It just isn’t the same as reaching out and pressing real-life buttons and awaiting a sonic response! It’s worth noting that many MIDI controllers can be mapped out (some come pre-mapped) to allow you to adjust certain parameters on the fly – but if you want this compromise, you’ll need to factor in the additional cost. We like to think we’ve summed up the major points for consideration. As with any of these conundrums, there’s no right or wrong answer – but there’s definitely plenty to think about. Hardware synths sound great, are fun to use and have a great resale value, while softsynths tend to offer more choice/versatility for the money, and are undeniably more practical because they have no physical footprint. If you’ve enjoyed reading this article, check out the rest of our Labs content here. If you’re interested in our synth offerings, check out hardware synths here, or click here for our full softsynth selection.